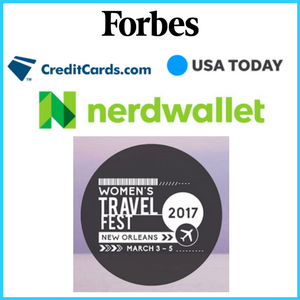 Earlier this year, I had the pleasure of speaking at the Women’s Travel Fest in New Orleans all about my favorite subject, travel hacking. Certainly, though, one of the greatest perks of an event like this is meeting other travel-loving ladies and hearing their stories. 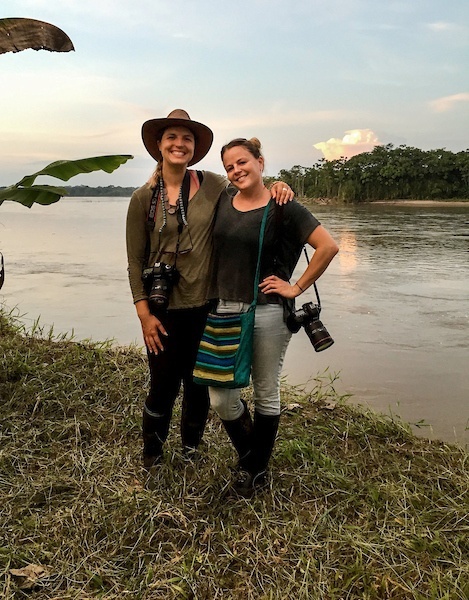 It was on one such event night where I met Caitlin Murray, a co-founder along with Jess Scranton, of Purposeful Nomad, a tour company seeking to offer women ethical, in-depth travel experiences. Not only was I taken by their inspiration and vision behind Purposeful Nomad, I thought of the many women who have emailed me about wanting to travel. 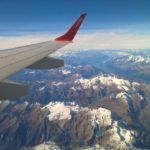 Some of you have asked for solo female travel tips and recommendations for the best tour companies while others have asked about ways to specifically travel with women travel groups. 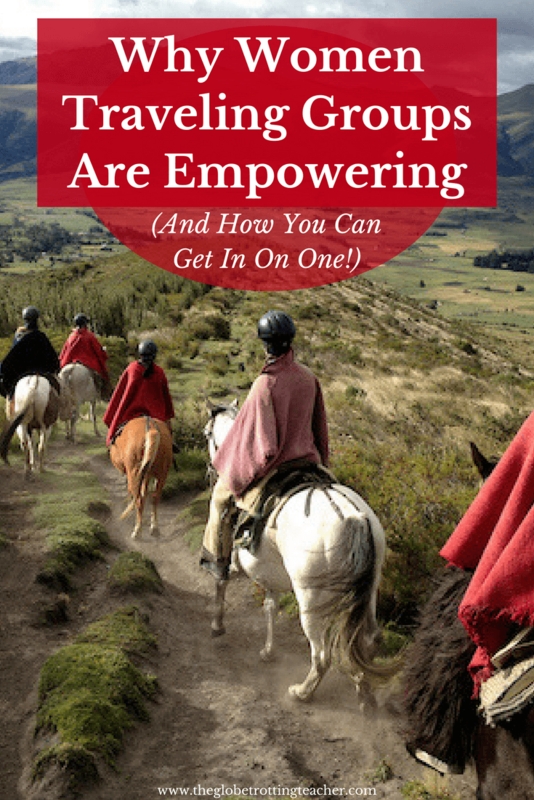 No matter which of these camps you fall into, you’re sure to be as struck as I was by how the ladies at Purposeful Nomad explained their end goal. If you’re like me, this hits a nerve in your core because you recognize what we as individuals and as a global community have to gain from interacting with one another. It was the first time I felt a tour company speak to both my love for adventure and my humanitarian spirit. I was all ears and eager to learn more about Purposeful Nomad and share with all of you, which is the motivation behind this interview. So, who exactly are these ladies behind Purposeful Nomad? 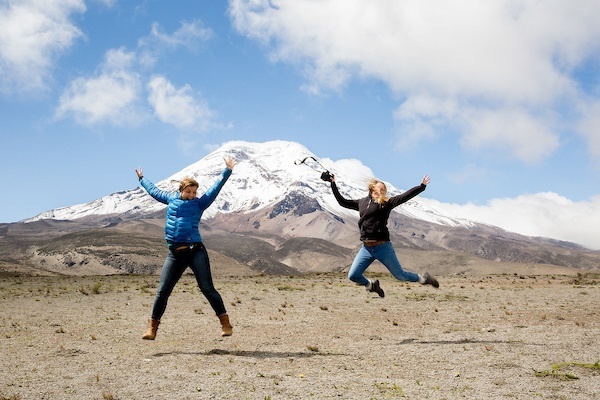 Caitlin and Jess are lifelong friends and have traveled solo to over 52 countries. Along the way, they’ve lived and worked abroad, as well as volunteered and visited as tourists. Over time, these travel experiences shed light on their personal passions. 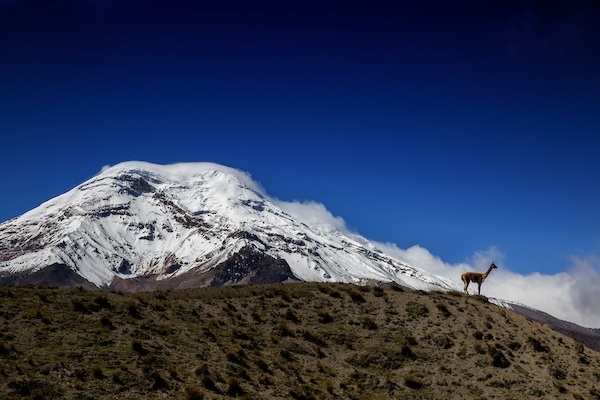 For Caitlin, her experiences living in Chile, Argentina and backpacking across Asia led her down the road towards sustainable tourism. She worked in the Dominican Republic as a guide and ran an eco-lodge in Portland, OR. Jess learned her camera was a window into the world and saw how her images could benefit non-profits and organizations by bringing meaning to their projects. Her travels turned into a thriving career working as an international photographer in remote locations such as South Sudan and the Democratic Republic of the Congo. As Jess and Caitlin discussed their travel experiences, both positive and negative, they saw an authentic opportunity to make a difference. Thus, began the vision of Purposeful Nomad and what an ideal trip would look like in order to inspire both the women who were traveling and the women in the local communities. Fast forward to today and Caitlin and Jess have taken these thoughts from ideas to reality. 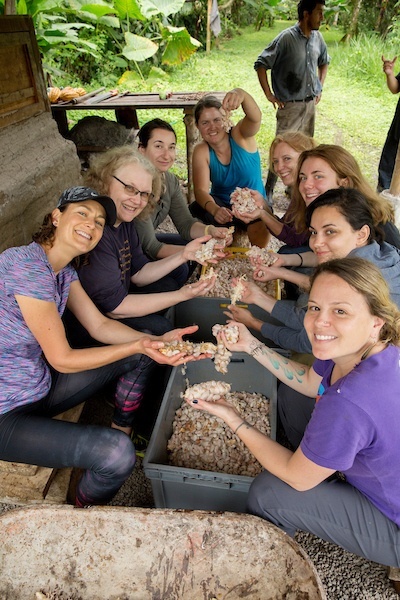 Purposeful Nomad offers socially responsible, women-only, small group trips, ethical volunteer placements, and private tours. 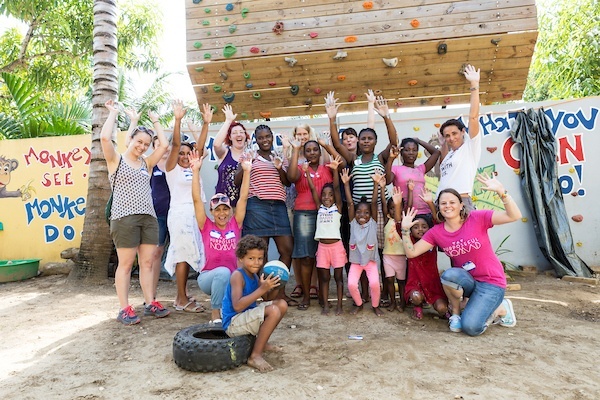 The core elements in all of their trips are a blend of true adventure, soul renewal, and community engagement. 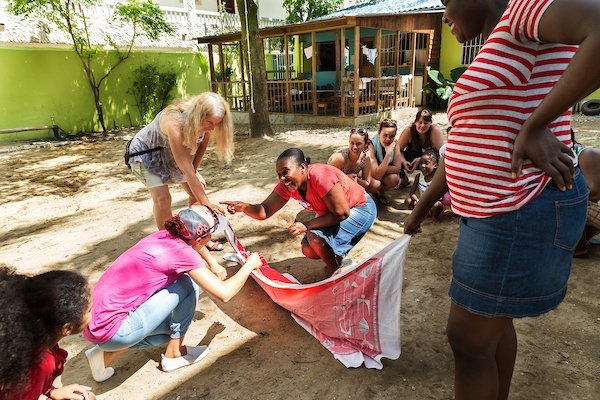 Designed to inspire, challenge and bring women together from across the globe, their trips are a springboard for women of all ages to explore the world together in order to help create positive social change, personal transformation, and meaningful travel experiences. What stands out about Purposeful Nomad is their commitment to being socially responsible, while at the same time bringing about authentic community interaction through skill-sharing. 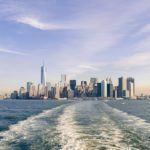 It can be really difficult to judge whether particular tour companies or volunteer organizations are doing more harm than good. Many “voluntour” organizations are motivated by profit with little thought about how to bring about lasting change for the people living in the local communities where their volunteers visit. Even as a seasoned traveler, I certainly struggled with this while planning a summer trip to Ecuador with my nephew. On the contrary, all of Purposeful Nomad’s trips have interactive cultural exchange and/or a service component. But, the ultimate goal is socially responsible forms of community connection. In India, Purposeful Nomad works alongside the Sambhali Trust, which helps to empower 300 women in Jodhpur, Rajasthan. Here travelers take a cooking class created by the women of Sambhali and the next day volunteer and partner with the organization. 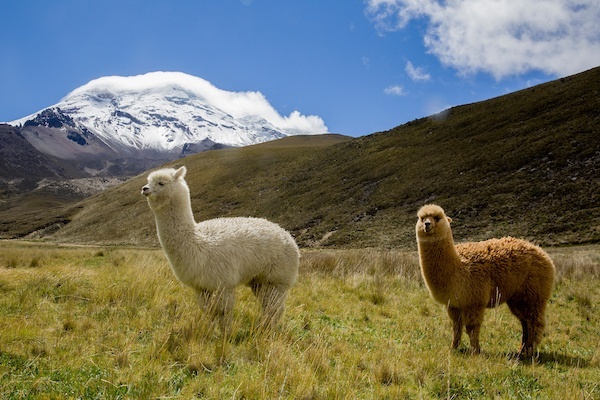 In Ecuador, you may learn to shear an alpaca with indigenous women in the mountains of Ecuador or learn to separate cacao seeds on an organic agroforestry farm in the cloud forest. Each of Purposeful Nomad’s itineraries includes meaningful, hands-on encounters that are informative and inspirational for both parties involved. For Jess and Caitlin and the ladies who travel with them on a Purposeful Nomad trip, the value of going deeper into communities and having genuine interactions with the local people is unmeasurable. 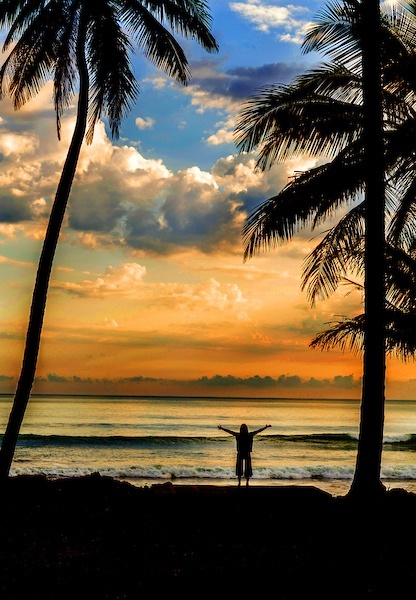 Is a Purposeful Nomad trip right for you? Women from all ages and walks of life have chosen Purposeful Nomad. 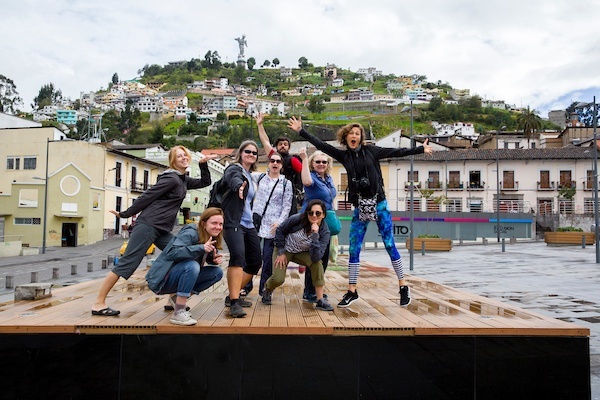 Their women’s only travel groups have included women who have solo trekked through Afghanistan and women for whom this is their first time abroad. Tour itineraries are tailored to suit adventurous travelers, as well as those looking to explore from within a secure and safe framework. And, the advantages of meaningful travel are endless. If you haven’t traveled much, it’s all about pushing yourself to experience something new and letting go of fears, all with the support of your group. 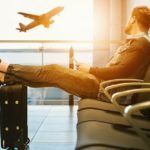 Not only can meaningful travel boost your confidence and help you learn new things about yourself, it can make you feel empowered and inspired to become a more active citizen at home and abroad. Purposeful Nomad travel experiences aren’t necessarily about bringing all your creature comforts from home with you, but about absorbing a new culture and developing a deeper understanding of people. There’s also room for spontaneity and time on your own. Since Caitlin and Jess started out as solo travelers, themselves, they’ve designed these trips to include the best of solo travel while also providing access to vetted communities, activities and organizations that would be challenging to be apart of as a solo traveler. But, perhaps the biggest win is women traveling together. A Purposeful Nomad trip can offer a true sense of community and camaraderie you may not get on your own. Tours are run with small groups usually around 8 women so it still feels intimate. With an all women’s tour, you have an instant group of ladies ready and willing to go on an adventure! All the details have been sorted and the arrangements made. All you need to do is show up and be open. There’s so much power to be harnessed when you bring women from around the world together to listen, engage, and skill-share. Women who have transformative experiences together don’t just change within themselves, but also bring that change to their families and communities. Check out Purposeful Nomad’s upcoming trips in 2018. Ecuador from June 14th-27th and September 8th-15th. Would you like to travel with Purposeful Nomad? I have the best travel memories of my solo trips for each time I’ve met awesome women along the way: we had lots of unforgettable fun. Purposeful Nomad sounds like a very interesting project. Caitlin and Jess are clearly taking things seriously, to inspire and bring women together. I wish there were more like them! Really appreciated reading about Purposeful Nomads, about how they came into being and about their ethos and the experiences that result from that. This quote resonates with me especially, they have totally nailed the very best that travel can and ought to be. That’s exactly how I felt, Kavita. Their mission-driven inspiration totally resonates with me, too. I love this idea! Anything that will empower and encourage people to travel, especially when they might otherwise not have the support they need is awesome! Totally agree, Kevin! Joining Purposeful Nomad on one of their trips is the perfect support system for women who want to travel but might not do it otherwise. This sounds like an absolutely amazing group! As a traveler, I’m always looking for ways to be more than just a tourist. I love learning about other cultures and getting to experience it first hand, even if it means stepping out of my comfort zone. I love that this tour group is more than just a traditional tour, guiding you around and giving you interesting facts. I will definitely have to get involved with this group. Thanks for reading, Kiyoko. It’s so much more than a traditional tour. 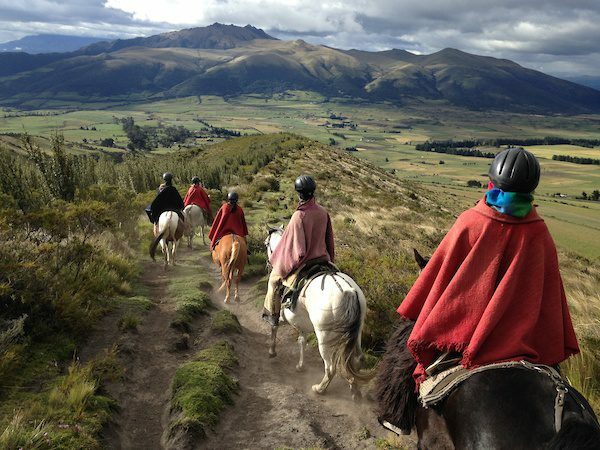 With the connections you can make with the group, as well as the local people you meet, a Purposeful Nomad trip can really be an unforgettable travel experience. What a great idea. 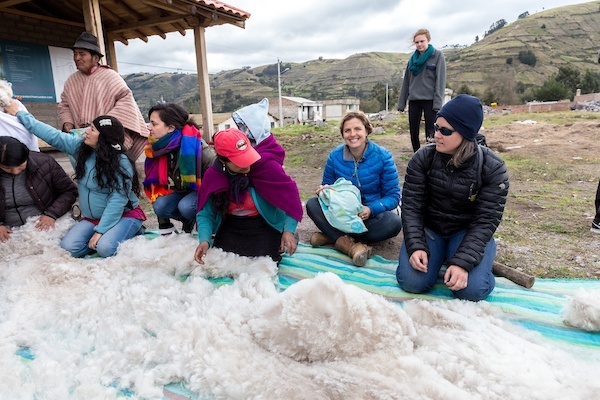 I have not seen many women travel group companies, not to mention one that works closely with the local economy and is so concerned about environmental impact. I love too that they go places that a little different, rather than your standard Paris/Rome/London sort of locales. So true, Drew. 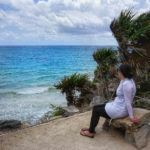 I think the ladies behind Purposeful Nomad are keenly aware of the types of places women might not feel comfortable going solo or will lend them to a truly meaningful experience. It’s true with the tours they currently offer and the ones they’re looking to develop. What these ladies are doing is so inspiring! The word really needs to get out there specially for first time travellers to avoid them falling into the traps of voluntarism where more harm than good is being done. I wish there was an organisation just like theirs but for families. We’d really be interested in meaningful encounters and authentic experiences not only as memorable life experiences but as education for our boys. Thanks for sharing, ill be passing their link on to my mum as she’s recently jumped on to the solo traveller scene and is dying to go to India. Elisa, I could not agree with you more on all points. I planned a trip for my nephew and I this past summer and it was difficult to do with a 10-year old. There aren’t many meaningful, ethical volunteer situations you can arrange that accept children. Thanks for passing this on to your mom. That India trip looks amazing! I so agree that poorly designed volunteer programs do more harm than good, and it’s wonderful that Purposeful Nomad is going a step beyond. These programs sounds totally empowering, especially working with the Sambhali Trust in Rajasthan. How fun to do an authentic cooking class. OH, that is so much interesting and I never knew something like that existed in India too. Loved the thought process of these organizations to work in harmony with the locals but it is really tough to find out which one is for profits or nonprofits. Thanks for sharing wonderful post and pictures are really beautiful. That’s what I love, Suruchi. 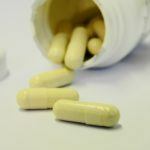 Purposeful Nomad has already done the research and partnered with organizations that are responsible. As someone who has done her own DIY trip with volunteering, I can’t tell you how much of an amazing advantage that is. 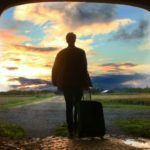 The vision of purposeful nomads is really very inspiring.Travel is a great catalyst in the transformation of attitudes and thinking and this is true for both men and women. Having an exclusive group for women is a great idea offering a great forum for learning, sharing, and innovating. When women come together and share ideas and experiences, Sandy, it can be really powerful. With more and more women traveling, Purposely Nomad sounds like a great program. Not only do you get to see the world but you do it in a sustainable way. Kudos to the amazing founders!